Karisma Kapoor and Kareena Kapoor Khan never fail to make headlines for their impeccable style statements and the deep bond which they share together. The most-glamorous sister duo of B-town not only love spending time together but constantly inspire and motivate each other. The gorgeous Karisma Kapoor, seen in a tete-a-tete with her lovely sister Kareena Kapoor on Ishq 104.8 FM's show 'What Women Want with Kareena Kapoor Khan', revealed the recipe of staying relevant, how she manages to be radiant, her role model and the pressure of making a comeback in the industry among others. When questioned that 'What is the recipe of staying relevant', Karisma said, "According to me there is no recipe. It's all about moving with the times. I have spent 27 years in the industry. The formula for me is to keep up with the times and attempting different things which further helps to stay relevant." If there's one thing you can be sure about with Karisma, it's her aging like fine wine. "We are blessed with genes. And, I guess it's the inner positivity which reflects on my face", said Karisma when asked about how she managed to come across this radiant. 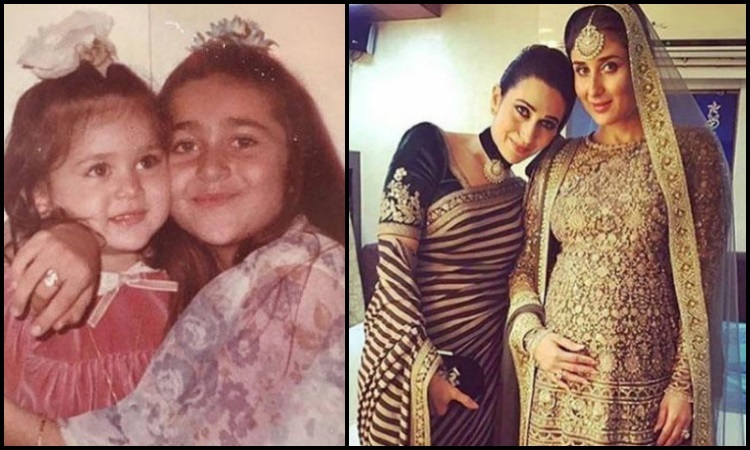 When asked who is her role model by Kareena, Karisma said, "Today, you are my role model. We are in the same profession and kind of strength we offer to each other is amazing. Apart from you, our mom has been an inspiration who single-handedly raised us so well. Also, our grandmother, who has kept up with time and stood extremely relevant despite her age, has been a major inspiration in my life." When questioned about the comeback pressure which the actresses get especially after motherhood, Karisma disclosed, "It's unfair. Also, I don't get this comeback term as it isn't used or said in other industry when women have re-joined their workplace. We have added pressure because we are from the entertainment industry. But, I am glad that game is changing and people have become so open-minded." Further agreeing on the fact stated by Kareena that one disappears into oblivion if one concerns themselves with being too relevant. She added, "If you will feel so pressurized to stay relevant, it will start looking fake. It will begin to bother people and they will dislike it. People should enjoy being relevant rather than feeling the pressure to be."